Overcome the challenges with your experienced ability and achieve to complete the sculpture. Diversity 1.8.8 is a map where your goal is to complete a monument using the different wool colors in the game. So far it seems simple, however you need to do and overcome different trials with different levels of difficulty to get these colored wool. At the beginning you can choose the map you want to start doing tests. Once you get over that level you will get the gift or bonus, that in this case consists in a block of each color wool. 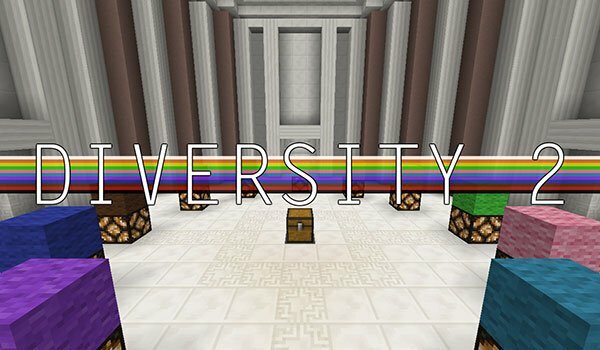 How to install Diversity 2 Map for Minecraft 1.8.8? Overcome the different level challenges to complete the monument!